This white gold bridal set is a boasting a unique design. 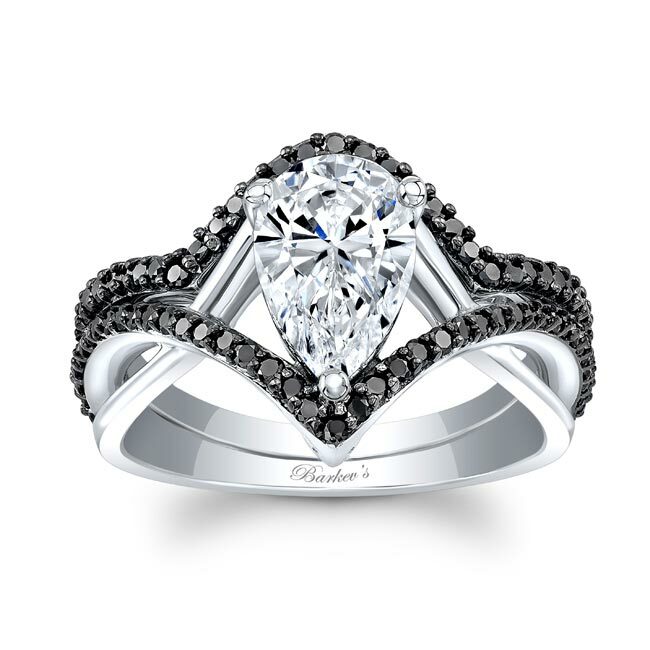 The engagement ring features an impressive pear shaped moissanite center, sitting on a heart shaped row of black diamonds which, together with the elegantly matching wedding band, perfectly embrace the sparkling diamond center. The style offers a strong antithesis effect which is sure to impress anyone who glances at it.